Shopping for a new Lexus RC? Step right up to the RC 350. Lesser V-6 and turbo-4 models just can’t match the visual punch of the Lexus RC’s dramatic front end. The 2018 Lexus RC didn't know it couldn't do that. 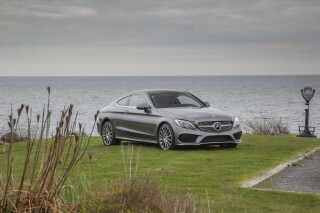 It takes on rivals from BMW, Mercedes, and Audi on their own turfs: base coupe, all-weather coupe, and performance two-door. This year, Lexus renames the RC 200t and makes it the RC 300. It’s the sole 4-cylinder coupe; the 300 AWD, 350, and 350 AWD models each have a V-6 engine, and each offers a tuned F Sport model. A sinister-looking rendition of the Lexus hourglass grille dons the RC's nose, supercharged with visual drama on F Sport versions. The side view's graceful even if the roofline is a bit thick, and the shoulder line lifts at a pretty point on the rear quarters. The cockpit’s control pad and off-center, oddly stacked components disturb the high-quality look. 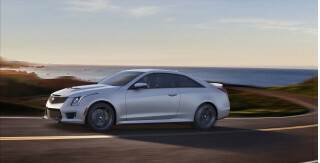 It's a nicely balanced luxury coupe with few rough edges to its performance contours. 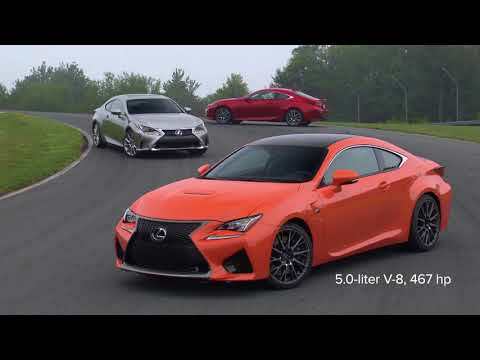 Base turbo-4 coupes are slight on power; the RC 350 still is the star of the lineup, with strong acceleration in the high-five-second range. With the F Sport handling package, it compiles into a luxury coupe that’s capable of quick rips through twisty roads. Front passengers get all the good stuff in the RC. Seats get progressively more bolstering and stitching through the F Sport range. The back buckets are there for looks, mostly. Adults won’t fit; they do fold to expand the RC’s moderately sized trunk. Crash-test scores have been good so far, and Lexus now makes forward-collision warnings and adaptive cruise control standard. 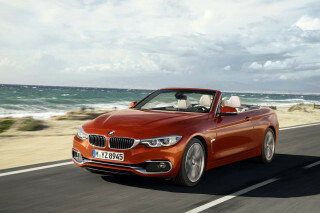 Other features are optional on base cars and standard on expensive models: leather, a sunroof, an infotainment system, navigation, premium audio, ventilated seats and more. The Lexus RC wears big jewelry and lush curves, but its straightforward cabin has some issues. Lexus fuses a dramatic grille to a sleekly drawn two-door body in its RC coupe. It’s a graceful shape, one that settles in right along with the Toyota 86, but the interior could use more drama. Lexus stamps the RC with its best visual hook right up front. The massive, deep hourglass grille dominates even the base versions, while F Sport cars are more bold and underscore it. Base models have vertical lines bisected by a blacked-out vertical piece, while the F Sport models get a full mesh treatment. From the side, the coupe can look somewhat thick, but it resolves in a tidy point at the rear. The cabin strikes out on the same interesting road as other Lexus cockpits. Big horizontal elements dominate the dash. Like they do in other Lexus cars, those elements draw attention to a couple of foibles. In the RC, the optional infotainment touchpad sits on the console, with a tacked-on look. The center stack of controls looks as if it wasn’t drawn to house the sound system. Atop those, a 7.0-inch screen is replaced by a 10.25-inch screen on cars with the navigation system. For performance, stick with the RC 350, but the adaptive steering and suspension aren’t must-haves. The Lexus RC offers a choice of turbo-4, base V-6 and high-output V-6 engines. In tandem with available all-wheel drive and adaptive damping, the RC has a wide range of road manners, from mild to sublime and sporty. 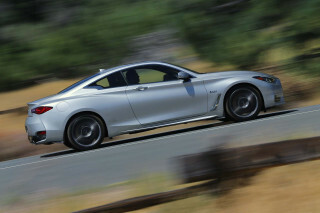 The base coupe has been renamed the RC 300. It’s still powered by a 2.0-liter turbo-4. 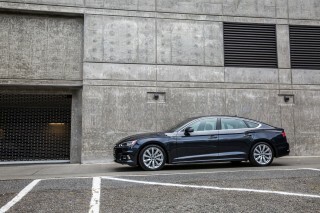 With 241 horsepower and 258 pound-feet of torque, it shuffles its low-aspiration power to the rear wheels through an 8-speed automatic. It takes 7.3 seconds to hit 60 mph—not slow, but hampered by the RC’s substantial curb weight. The V-6 RC coupes get a 5-hp bump this year. 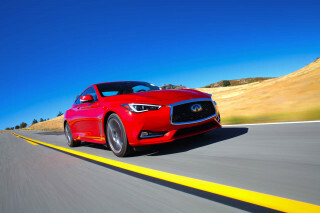 The mid-range RC 300 has a 3.5-liter V-6 with 260 hp and 236 lb-ft of torque, which it delivers to all four wheels in a fixed 30/70 power split that favors the rear. A 6-speed automatic handles shifts, and Lexus says the combination translates into 0-60 mph times of 6.3 seconds. We think the RC 350 is the best of the lot. Its 3.5-liter V-6 drills out 311 hp and 277 lb-ft of torque, and sends it to the rear wheels through the 8-speed, or through all four wheels via the 6-speed automatic. 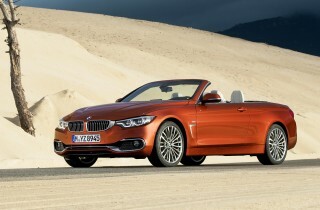 The coarse growl of its V-6 is dubbed down by lots of sound deadening, and acceleration hits a sport-coupe stride. 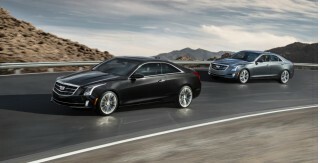 Rear-drive cars hit 60 mph in 5.8 seconds, AWD cars in 6.0 seconds. Top speeds are 143 mph and 130 mph, respectively. In the RC 350, the more advanced automatic does more interesting things–namely, offers choice between Normal, Sport, and Manual shift modes and paddle shift controls, as well as predictive shift logic which blips the throttle to render buttery-smooth gear changes. RC coupes have a double-wishbone front suspension and a multi-link rear setup tuned just slightly on the firm side. Drivers should find that it's compliant enough for everyday driving. While it may be slightly too underdamped on curvy country roads, it hits the right balance of ride and handling for a pure luxury coupe. Even the electric steering feels settled and acceptably quick. An F Sport package upgrades handling with a sport-tuned suspension, 19-inch wheels, adaptive dampers, a Sport+ drive mode, and multi-program stability control. The rear-drive RC 350 F Sport gets its own steering hardware too, a variable-gear-ratio steering rack that changes ratio according to speed and yaw. That particular model also injects a couple of degrees of rear-wheel steering in Sport+ mode at speeds below 50 mph to help it feel more maneuverable. The Lexus RC games its front thrones, and leaves the back seats to the peasants. With the RC, Lexus has a coupe that’s sized somewhat like its chief rivals. It doesn’t provide the rear-seat space available in some. In front, the RC gives passengers good space and lovely low-slung seats. They’re some of the best Lexus sells, with dense bolsters and stitching that follows the contours of back muscles. F Sport seats have shoulder wings and big bolsters, but they’re also wide enough to fit larger passengers. The RC’s telescoping steering wheel ensures a good driving position. The back seats don’t offer much room at all. They split and fold for trunk access, but won’t comfortably fit most people. That trunk is big enough for a couple of golf bags, at 10.4 cubic feet. The RC’s interior is put together well enough, and finishes are lovely. There are some alignment issues with the infotainment system controller and the audio system that seem planned-in, but poorly thought out. 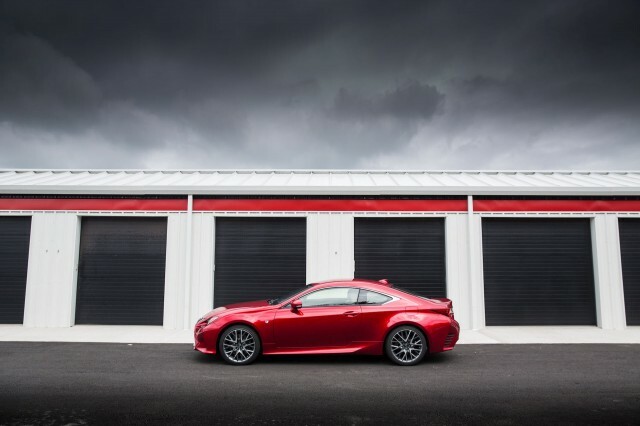 The Lexus RC already has excellent crash-test scores in its corner. The NHTSA hasn’t crash-tested the RC, but the IIHS has, and it’s good news for Lexus. The IIHS gives the RC a Top Safety Pick+ award, which means great scores as well as good headlights. A rearview camera is standard, and the measly 7.0-inch display it uses gets swapped out for a larger 10.25-inch screen on navigation-equipped cars. Drivers of RC F Sport coupes can tweak stability control settings for track-day permissiveness. This year, Lexus has made a bundle of safety technology standard. 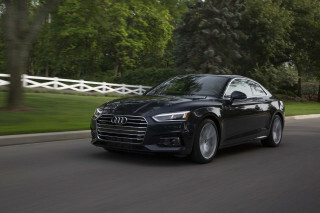 It includes forward-collision warnings, automatic emergency braking, adaptive cruise control, and automatic headlights. Blind-spot monitors are an option. Lexus needs a new infotainment system, but the RC is otherwise nicely equipped. This year, Lexus has renamed one of the RC models—the RC 200t becomes the RC 300–while all others return mostly unchanged. The base Lexus RC coupe comes with power features, cruise control, automatic climate control, synthetic leather trim, LED headlights and taillights, heated front seats, 18-inch wheels, keyless ignition, a split-folding rear seatback, and a rearview camera. The base audio system has a CD player, satellite and HD radio, Bluetooth with audio streaming, twin USB ports and an aux jack. Lexus does not offer Apple CarPlay or Android Auto. The interface is a maddening roller-wheel input device and a 7.0-inch display. As an option, Lexus fits its Enform infotainment system. It adds a touchpad that accepts swipe, zoom, and pinch inputs. The inputs don’t translate on the larger 10.25-inch screen quickly enough, and the user interface could use a crisper, more colorful look. Option packages tailor the RC to its driver. An F Sport package adds an adaptive suspension, performance brakes, 19-inch wheels with all-season or summer tires, and touches like sport seats that can heat up or cool down. RC Luxury coupes have heated and cooled front seats, blind-spot monitors, and perforated leather upholstery. Other options include navigation, a sunroof, and Mark Levinson premium audio. Stick with the base Lexus RC 300 if you’re keen on highway gas mileage. Base turbo-4 notwithstanding, the Lexus RC doesn’t post great gas mileage ratings. That base model, dubbed the RC 300 this year, earns EPA ratings of 22 mpg city, 32 highway, 26 combined. With all-wheel drive, the RC 300 adopts a V-6, and the duo weighs down on fuel economy to the tune of 18/24/21 mpg. 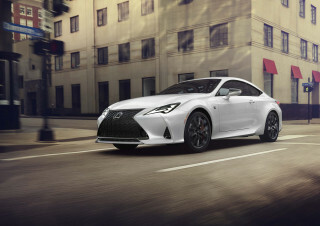 The RC 350 has a higher-output V-6 and an 8-speed automatic, so it fares better: 20/28/23 mpg with rear-wheel drive, or 18/24/21 mpg with all-wheel drive.